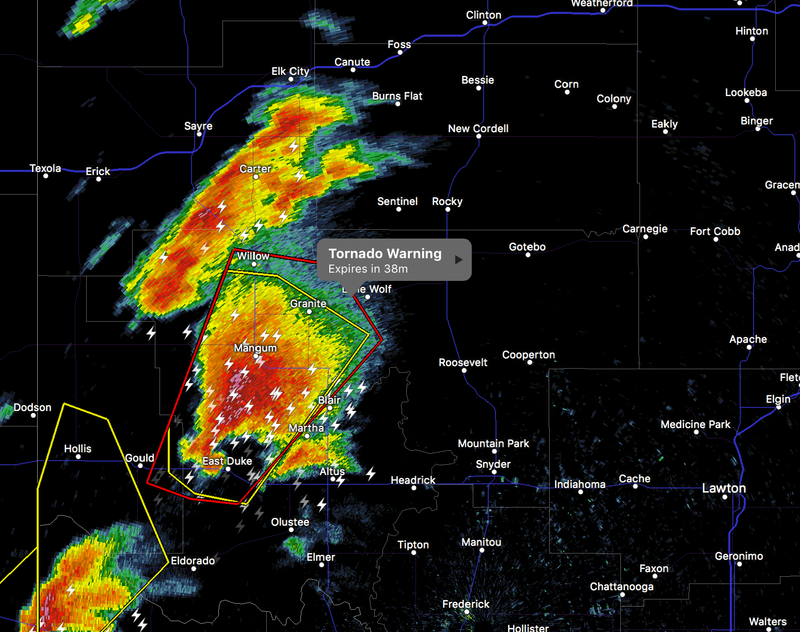 The first tornado warning of the day has been issued southwest Oklahoma with for a classic supercell with a hook echo west of Lawton. This is a good time to remind you that I do not live-blog storms. For that, follow me on Twitter @usweatherexpert . 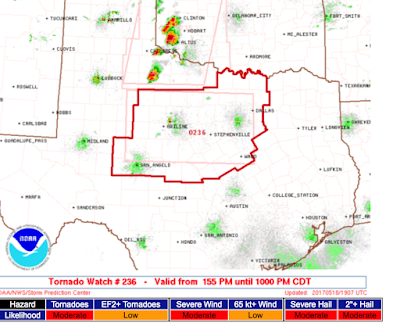 A new tornado watch has just been issued for northern Texas, including the DFW Metroplex. 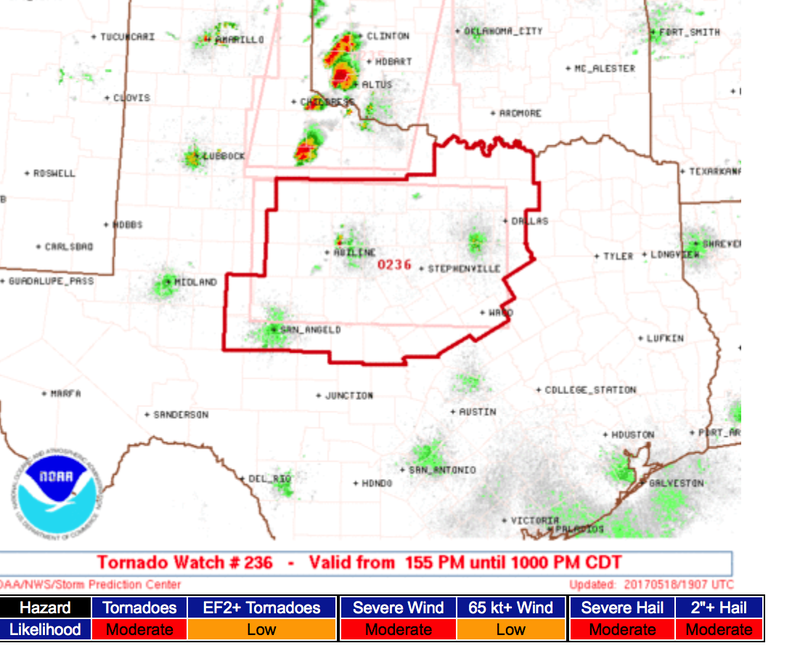 I expect a "particularly dangerous situation" tornado watch to be issued around mid afternoon. I'll post it when it is issued.